We are pleased to be able to offer you an online repeat prescription and referral request service. YOU CAN NOW MAKE BOOKINGS ONLINE VIA OUR WEBSITE! Health At Campbelltown, together with Health at Newton and Health at Brooker are privately owned medical clinics located in Adelaide's inner North Eastern suburbs. 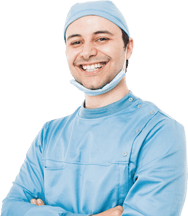 We have both male and female medical practitioners who consult at all three locations on a rotational roster. Our medical centres are purpose built and fully accredited by AGPAL. We offer all general practice services including men's and women's health, diabetic checks, childhood immunisation, general health checks, Cervical Screen, Travel advice and vaccination, as well as pre-employment medical examinations. In addition, we have on-site facilities to perform investigations including lung function tests, ECGs, vascular doppler ultrasounds and skin checks/dermatoscopy. Some of our doctors also have areas of special interest including obstetric shared care, musculoskeletal medicine, skin cancer screening, child and youth health as well as minor surgical procedures and basic fracture management. Dental @ Campbelltown and Australian Clinical Laboratories are located at Health at Campbelltown. Other services available include physiotherapy, podiatry, diabetic education, dietitian services, psychology and various other medical specialists who consult regularly at the rooms. Doctors and staff pride themselves on providing quality and friendly service at all three fully accredited medical clinics. 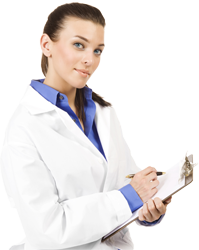 We have both male and female medical practitioners who consult at all three locations on a rotational roster. Copyright © Health at Campbelltown. 2019. All rights reserved.